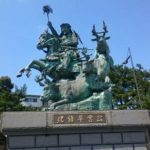 This week, we cover the life and legacy of one of the great bridges between Japan and China — the Christian bookseller of Shanghai, Uchiyama Kanzo. Keavaney, Christopher. 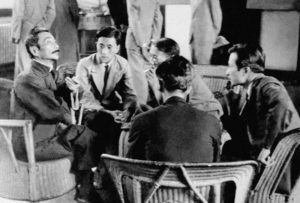 Beyond Brushtalk: Sino-Japanese Literary Exchange in the Interwar Period. Shih, Shu-mei. The Lure of the Modern: Writing Modernism in Semicolonial China, 1917-1937. Minchello, Sharon, ed. 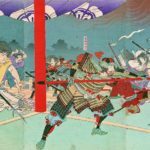 Japan’s Competing Modernities: Issues in Culture and Democracy, 1900-1930. 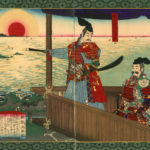 A podcast by Harvard’s Fairbank Center for Chinese Studies on the Lu Xun-Uchiyama Kanzo friendship. 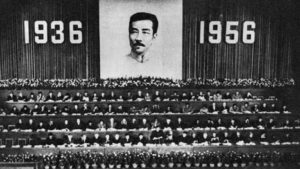 To give you an idea of how big a deal Lu Xun was and is in China, here is a People’s Republic of China Party Congress taking place beneath a banner of him. 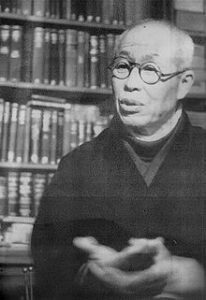 His works remain mandatory reading for most middle and upper schools in China. 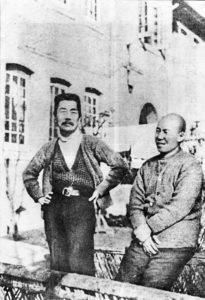 Lu Xun (left) and Uchiyama Kanzo, c. 1933. 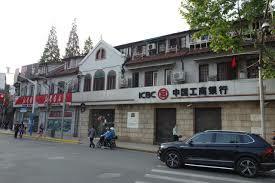 The location of the Uchiyama Bookstore on Sichuan Road, c. 2018. A gathering at the Uchiyama Bookstore in 1936. From left to right: Lu Xun,Huang Xinbo, Cao Bai, Bai Wei, and Chen Yanqiao. Courtesyt of the Harvard Yenching Library collection of Sha Fei’s photos.